​ATTACK Pest Control Sydney uses the Latest Technology combined with the most qualified Ticks Pest Control Technician﻿s to get rid of Ticks in your home. Without leaving your ﻿home, we provide Ticks treatments ﻿using smell free chemicals that are safe for your kids and pets. ​We provide the best Ticks Removal Treatments. Why Choose Our Ticks Experts? Tick signs usually are the ticks themselves. Secondary signs can include medical symptoms from diseases or fluids transmitted by ticks. These can vary and are best left to a medical professional for diagnosis. Ticks get inside homes by hitchhiking inside on pets, people or our clothing. Therefore, it always is a good idea to inspect pets and our children to make sure there are no ticks and to wash any clothes that may contain ticks. Ticks can become a problem if there are suitable tick hosts living in the crawl space or attic. 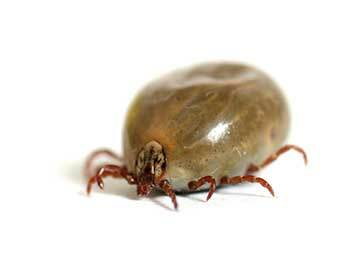 Other animals may bring ticks inside to their nests, burrows, roosts or other living spaces. Once inside, most tick species do not survive well unless they find another host. The exception to this generalization is the brown dog tick, a species that survives and reproduces quite well inside, and soft ticks. Soft ticks in the family Argasidae are a group of ticks that sometimes invade structures searching for a host. These ticks do not present much of a threat to well-built homes with effectively constructed and maintained exclusionary measures, unless there is a host’s burrow or nest inside the structure. However, in rustic cabins or old, poorly constructed and maintained homes with multiple sources of entry, these ticks may attempt to feed on humans before returning to their sheltered sites inside cracks, crevices or their host’s nest or burrow.